This property was once part of the lot next door at 134 Main St. and belonged to Nathan & Susan L. Ellis in June 4, 1866. 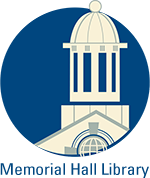 It was inherited by their children; Ellen G. Ellis, Amy L. Kydd and W. Boteler Stork. This house was built by the Ellis family and remained part of the larger parcel until 1919. It does not appear on the 1872 map of Andover. The Queen Anne style home was a popular design from about 1880-1910. It appears the house was built as income property and rented by the Ellis family as they remain at 134 Main St.
Andover Townsman Aug. 9, 1895 - Hardy A Cole have about completedwork at Miss Ellis's new house on Main street. It will be occupied by Mr. C. T. Briggs and family of Lawrence, who are now at the Tucker house on the Hill. with Ellen Ellis as the first owner. (Information provided by Ted McEnroe. In the 1900 Census, William S. Knox, a lawyer, b. Sept. 1843, wife Helen N. b. Mar. 1870, son William B. b. Oct. 1899 and step daughter from his first wife Blanche b. Feb. 1874 are renting the home. 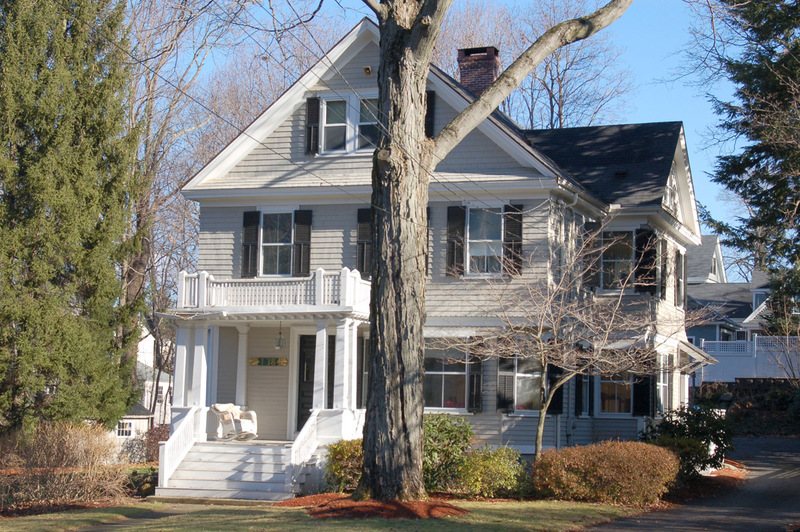 Two live-in servants, Ida Copp 40 and Mary Shelly 60 are also listed at #138 Main St. The 1910 Census lists renters Rev. Owen H. Gates b. 1863, a Missionary, wife Henrietta M. b. 1863, two sons Gaylord M. b. 1894, Harold E. b. 1897 and his sister-in-law Belle K. Middlekauff b. 1877 a teacher at a Normal School. 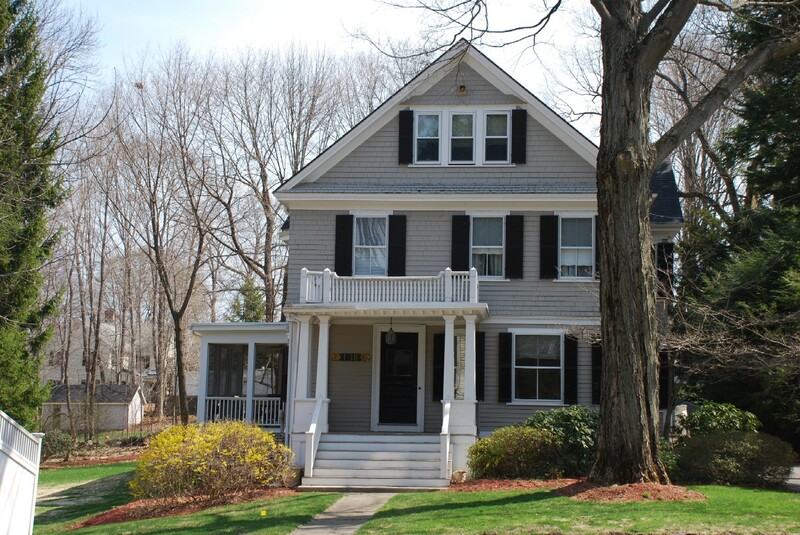 The 1880 census lists the Ellis family at 134 Main St. with 13 boarders, 2 girls as domestic servants, 4 boys as students at the academy and 4 young men at the Andover Theological Academy. Also listed as boarders are Samuel P. Phillips age 51 a Stock broker, his wife Sarah W. 51 and daughter Sarah Phillips age 22. Of the Ellis family, Maria’s husband Rev. Charles Stork died in Dec. 1883. Susan L. Ellis, wife of Nathan, died on March 6, 1889. Daughter Elizabeth died Apr. 24, 1892 and Nathan Ellis died on Dec. 17, 1898 at age 86. Maria H. (Ellis) Stork died Feb. 26, 1913. Ellen G. Ellis was the last remaining survivor besides her niece and nephew. Ellen died on Oct. 29, 1928. The Ellis family are interred at South Church Cemetery. Ellen sold the property and the main house to at 134 to George A. Stewart in Nov. 1927. The second Ellis home at 138 Main St. had been sold to Bertha S. Bradford, wife of Roy H. Bradford on Nov. 21, 1919. Bradford owned for 28 years then selling to John & Mary E. Brown on June 23, 1947. John & Mary E. Brown owned for 36 years then sold to Richard L. & Priscilla M. Alden on Oct. 18, 1983. The Aldens were living on Porter Rd. before moving closer to the town center.